Over the last decade, the United States has been a major producer and consumer of 3D printing on a global scale. In 2017, the U.S. emerged as the largest region to employ 3D printing of metals. The technology for 3D printing (or additive manufacturing) of metals is finally hitting its stride. One of the most alluring aspects of 3D metal printing is the ability to manufacture parts faster and more economically than conventional manufacturing processes. The aerospace industry was the first industry to begin utilizing 3d metal printing and additive manufacturing, owing to rapid prototyping and the manufacturing speed offered by 3D printing. Once the aerospace industry began utilizing materials such as titanium and steel, other industries followed suit. In order to remain successful and profitable in this highly competitive and ever changing industry, companies engaged in the development of new or improved products and processes should be leveraging the research and development tax credits offered by the IRS to recoup costs associated with innovation. Offsetting these R&D costs will also enable companies utilizing 3D metal printing to re-invest elsewhere in their companies. Companies should consult with experienced tax professionals on how to utilize the R&D tax credit benefits. Obviously, there are some things that will never be 3D-printed, but it’s quite amazing how much actually is. 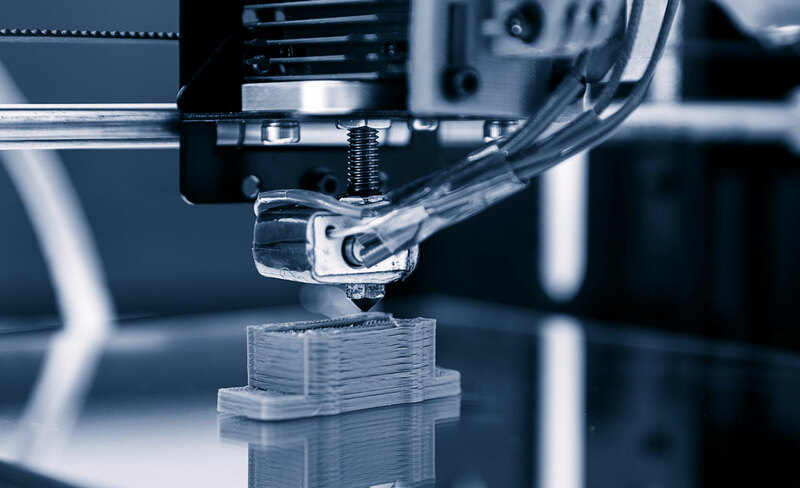 Today manufacturers of commercial products in a myriad of industries including medical equipment, golf clubs, aircraft engines, aerospace systems, and HVAC parts, are using some type of 3D metal printing in their companies. With access to open-source design and 3D printing, entrepreneurs are engaging in micro-manufacturing and creating a tsunami of highly customized products, produced in small quantities and at higher margins. The need for advancements in the 3D printing industry as a whole has made companies spend more time researching new techniques, improving manufacturing processes or developing and testing prototypes; all of which are classed as research and development, or R&D. 3D metal printing has the potential of bringing manufacturing jobs back to the United Sates, which in turn will help our economy grow. The federal government implemented the Research and Development tax credits in 1981 to create jobs and spur technology in the U.S. Known as R&D tax credits, the program was meant to be a temporary measure to give the economy a boost. However, the credit was extended by Congress more than a dozen times until the PATH Act made the R&D tax credit permanent. Given the popularity of the R&D tax credit program, many states followed suit by establishing their own programs. Today, over 40 states over their own R&D tax credits with attractive features and additional advantages. Qualified Purpose - The purpose of the research must be to create a new or improved product, process, or formulation, resulting in increased performance, function, reliability or quality. Process of Experimentation – Experimentation can be demonstrated through prototypes, simulations, systematic trial and error, or other methods of evaluating alternatives to achieve a desired result. Your CPA or qualified R&D tax credit expert like Tax Point Advisors, can easily help you determine whether your 3D metal printing activities meet the criteria of the 4 part test by conducting a tax credit study. Unfortunately, many manufacturing businesses assume that R&D is synonymous with laboratories and therefore miss out on the opportunity to make R&D tax claims; failing to realize that activities conducted to support the needs of their clients could be categorized as research and development. If you think your company might be performing activities that may qualify for the R&D tax credit, don’t let the potential tax savings go unclaimed. Tax Point Advisors has the experience and knowledge to assist you and your company to identify the daily activities that are already taking place to help get you the best possible credit. Tax Point Advisors works with small or large businesses that may qualify for R&D tax benefits. For more information, call us at 800-260-4138 or please leave us a message below.